Heat Pump Not Switching to Cooling Mode? This is the time of the year when you’ll probably appreciate having a heat pump to take care of both your warm and cool weather comfort needs. As the weather swings back and forth during spring, you can simply switch your heat pump between its two different modes—heating and cooling—with only a single adjustment on the thermostat. No reason to think about having to shut down a heater for the year, and your thermostat programming doesn’t have to change much. But what if the heat pump won’t turn over into cooling mode? This is one of the more common troubles a heat pump can run into, and it’s also one our technicians are familiar with fixing so the heat pump can go back to work. We’ll take a brief look at what might be going on with a heat pump stuck in one mode. Posted in Heat Pumps | Comments Off on Heat Pump Not Switching to Cooling Mode? The heat pump has become a popular home comfort installation in Florida because it’s a fantastic fit for our weather. A heat pump works as both an air conditioner and a heater: its cooling mode is powerful enough to overcome hot Florida summers, the heating mode is efficient and energy-saving for the mild winters. For many homeowners, having their year-round comfort taken care of with a single installation is a huge benefit! Heat pumps are new to many people, so we’d like to share four important facts about them with you. If you want to know more, or you’re ready to schedule installation for a heat pump in Lake City, FL or elsewhere in North Central Florida, get in touch with a member of our team. First, you should know the number one thing about heat pumps: it’s heating and cooling in one. One unit, that looks a lot like a conventional central air conditioner, can bring heat into a home and take heat out. 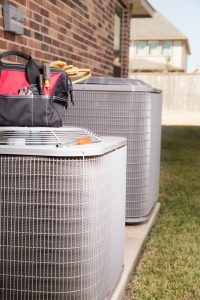 In Florida, where we provide AC services, it doesn’t make much sense to have a separate furnace that to provide heat, but there are the occasional cold spells, making a central heater a convenient system to have—especially when it works with your AC. So what else should you know about this versatile comfort system? The middle of summer is just about the worst possible time to have your heat pump break down on you. Unfortunately, no amount of care and maintenance can keep a heat pump functioning forever. Sooner or later, there absolutely will be a time when you need to replace your heat pump. You need to be able to tell when your heat pump is getting to the end of its lifespan, so that you can have a new one installed before the current one permanently breaks down. If your heat pump can’t get you through another summer, consider replacing it now. Have a look at the following signs that you need a new heat pump. 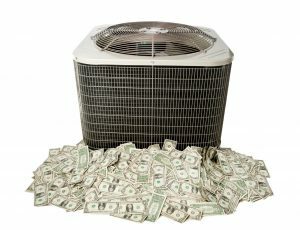 If you’re in the market for a new air conditioner this season, you have many different options available to you. Each type of air conditioning system has its own advantages, suited to a different set of individual circumstances. Before you make a decision on which system you should install, though, you should closely examine the advantages of each. Let’s take a look at three of the advantages associated with installing a ductless mini split. 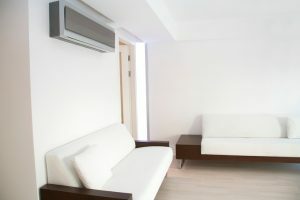 How Long do Ductless Systems Last? Climate control systems are expensive, for the most part. They’re also necessary for a lot of people, which means that the name of the game is to get the best return on investment possible. The way to do that is to make it last for as long as you can, and to replace it before it suddenly dies on you. If you’re using a ductless system, you should know that the average one lasts about 10-15 years. You can use that range as a guide, but the best way to tell whether you need a new ductless system is to keep watch for certain warning signs. 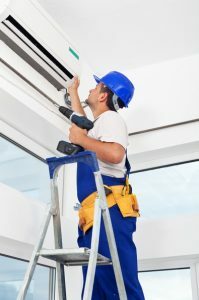 Posted in Heat Pumps | Comments Off on How Long do Ductless Systems Last? There are a myriad of different heat pump system types available on the market. So many, in fact, that it’s easy to become overwhelmed by the sheer number of different options available. Each heating system type has its place, though. What’s important is that you find the best one for your needs. Read on for some of the ways that a heat pump might help you this winter. Heat pumps are popular primarily for their ability to switch between heating and air conditioning functions. If the heat pump becomes stuck in one mode, though, it can quickly start to seem like more of a hindrance. If your heat pump can’t seem to switch into heating mode, read on to find out why. 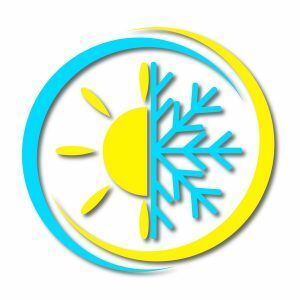 Posted in Heat Pumps | Comments Off on Why is My Heat Pump Blowing Cold Air?